If you're like me and probably hundreds of other people out there you need something to help you stay organized in this overly busy world. I know if I don't write something down there's a good chance a day later it will have been filed away in my brain and forgotten. And with two kids in school and after school activities my days are only getting busier. I'm not a student, but this academic planner has helped me get my family organized tremendously. We pretty much run our weeks based off of the school calendar so this actually works great. 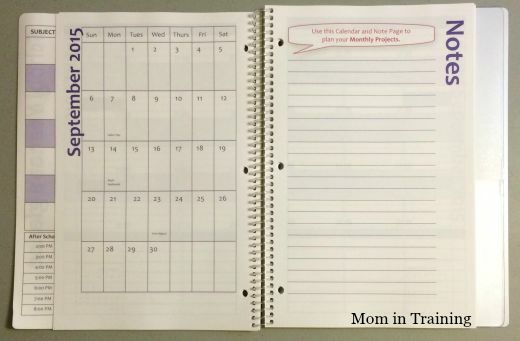 Inside the planner you'll find a month at a glance as well as a notes page for each month of the academic year. Then following that are two page spreads that each feature a week at a time for the month. This is great because we can lay out the month ahead on one page, then fill it in on the individual days on the weekly pages. There I like to give a little more detail to the activities of the day as well as list out what I am planning for dinner based on our evening activities. It's great being able to have it all in one convenient place. Then I just leave the planner sitting out on the kitchen counter where everyone can see what's going on and add to it if they need to as new events arise. 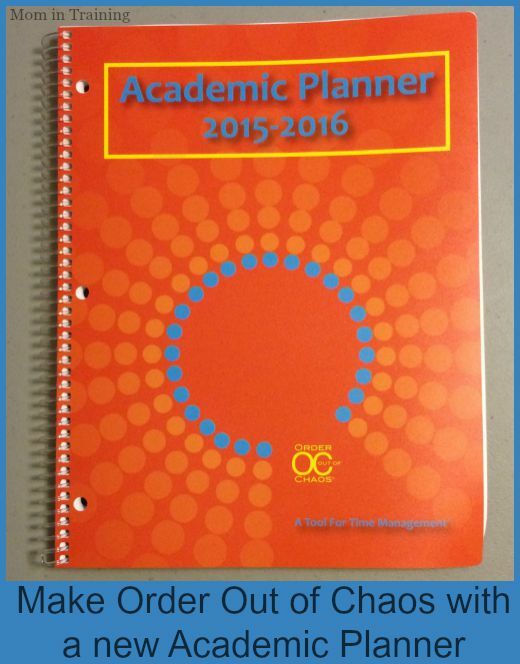 Buy it: You can purchase this Academic Planner through the Order Out of Chaos online store. I like being organized too. I also have an academic planner. It's good to know there's someone like me. That looks like a great planner to keep me organized!